•Is a College Education worth it? •What is College going to Cost? •How do Families Typically Save for College? Throughout history, education has been played a key role in the individual success story. From the children of families arriving at our shores over two centuries ago to the children of families arriving on our shores today, education has played a big role in the American dream and has been a key element of financial and social success. For most American families, higher education provides their children the skills and critical thinking needed to become independent, productive and happy adults. Absolutely – it’s about future earnings and independence. 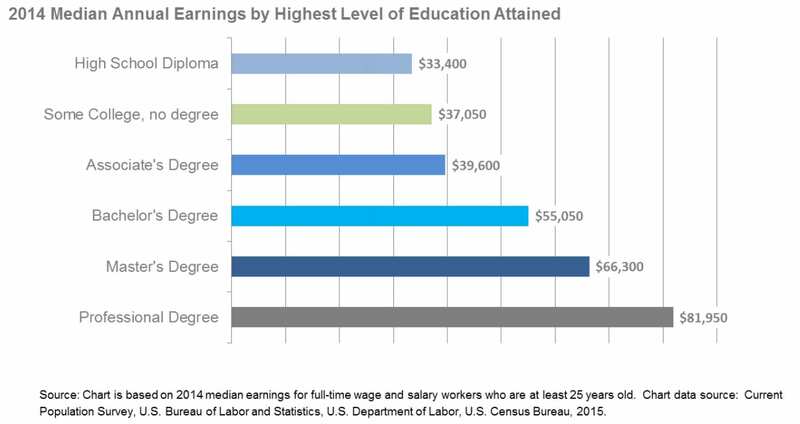 Over a lifetime, the earnings gap between Bachelors or Associates degree-holders, and High School diploma-holders widens, and its impact can be significant. Research shows that college degrees produce greater financial success. What is College going to Cost? A lot. 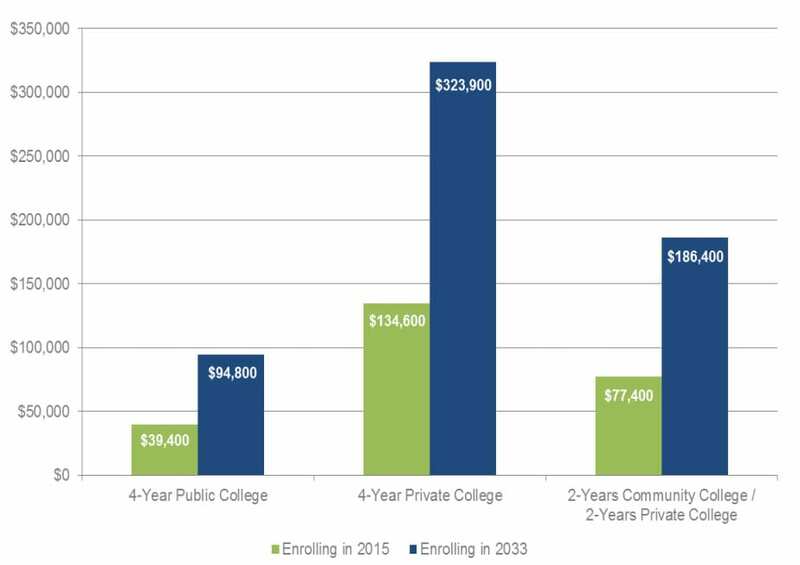 Over the past three decades, the cost of tuition has outpaced the Consumer Price Index of inflation, and while there are different ways to approach college, from starting at a 2-year community college, before transferring to a 4-year institution, it does remain expensive. 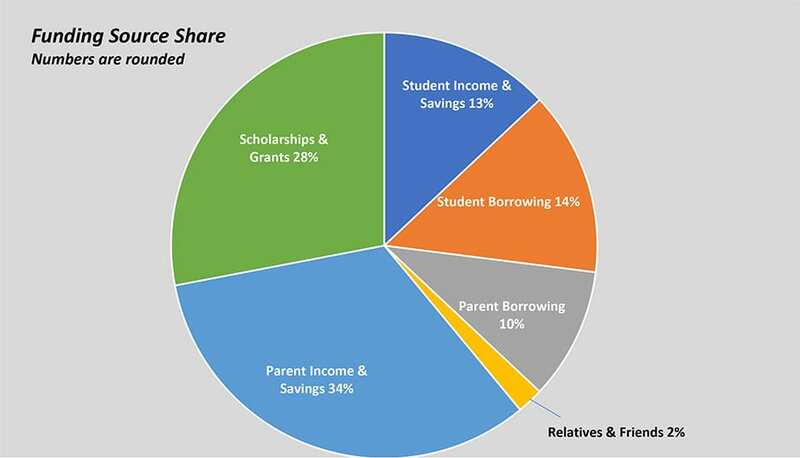 Most families use a combination of savings, scholarships/grants and borrowing to pay for college. In 2017-2018, parent income and savings was the #1 source of college funding. Nearly half (47%) of college costs were paid out of pocket by a combination of parents’ and student’s income and savings. At over $1.3 trillion, national student debt is at historic highs, exceeding both the nation’s credit card and auto loan debt levels, with no end in sight. Student debt stays with an individual for their lifetime – and sometimes beyond – and plays a large role in how soon college graduates are able to purchase their first home, or start their own family. Previous generations have funded higher education through indebtedness, but with tuition rising faster than inflation, it is not sustainable for many families to take out higher interest rate loans and simultaneously cut expenses enough to cover college costs. 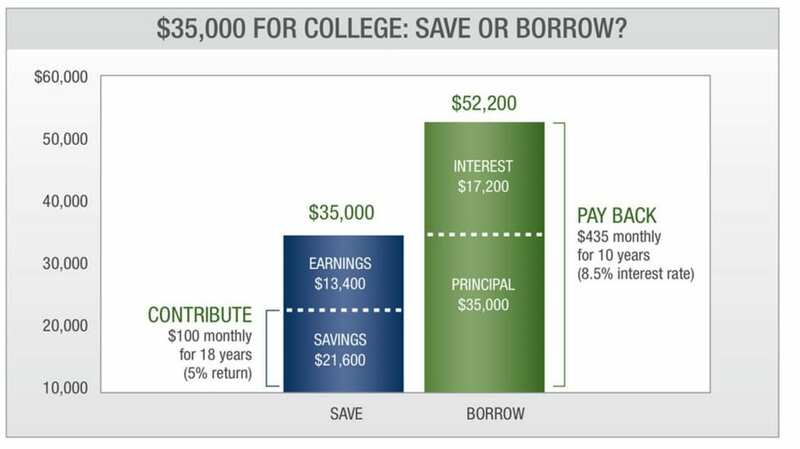 By starting early to save for college, one will need to borrow less, if at all, when ready for college. In other words, it’s cheaper to save now, than it will be to borrow later. So how can a family hope to prepare itself financially to meet these costs? Save little and save often. Put time on your side. Saving is a critical piece of a family’s overall college funding strategy. The College Savings Foundation’s annual State of College Savings Survey of hundreds of parents showed that those parents who invested in 529s and those who saved with automatic savings plans – each saved more than parents without those strategies. Start as early as possible with systematic contributions – and put time on your side. 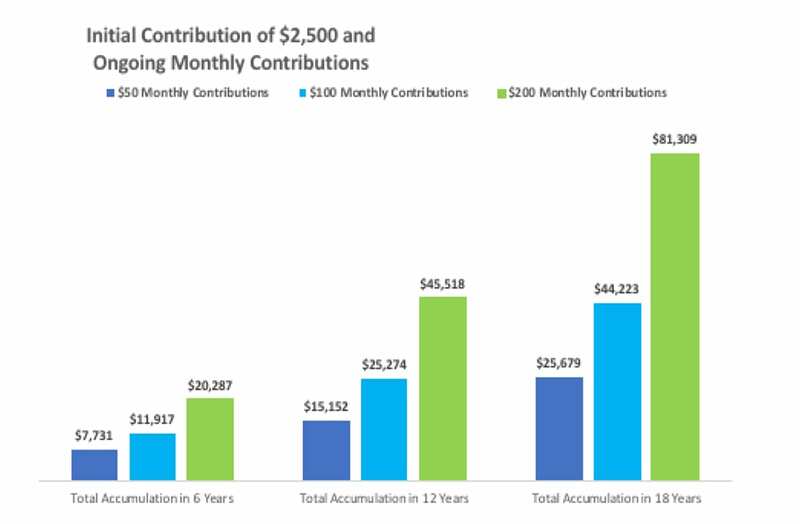 This hypothetical example estimates future savings amounts at different regular monthly contribution levels for different time periods. It assumes an initial investment of $2,500, annual investment return of 6% and includes some simplifying assumptions. The information is for illustrative purposes only and assumes no withdrawals during the applicable time period. The illustration is provided by Invite Education and does not represent any particular investment, nor does it account for inflation, expenses, or taxes. Account values will fluctuate with market conditions and other factors, and investments may lose value. 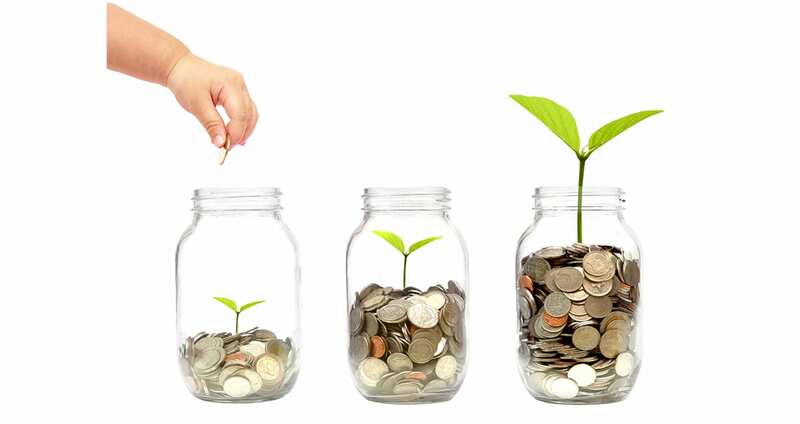 Investments grow on a tax-deferred basis, and earnings are free of federal income tax. Contributions are eligible for gift tax exclusion as long as certain conditions are met. Generally, account owners can remove contributions and future earnings from their taxable estate. Certain 529 plans offer some type of state tax deduction when residents invest in their own state’s plan. There are currently no income limits. Any U.S. resident or citizen, regardless of income, can open an account. Account owners can withdraw money at anytime. Funds may be used to pay qualified education expenses at any qualified educational institution in the U.S. (and some schools abroad), including any accredited public or private college or university, graduate school, two-year community or junior college and vocational and technical schools. Eligible educational institutions include most U.S. schools and some schools located abroad. The institution must be eligible to participate in the U.S. Department of Education student aid programs. To determine if a school is an eligible education institution, search for its federal school code at www.fafsa.ed.gov. Most plans offer low initial investments and a variety of investment options fitting various levels of risk and time horizons. The account owner decides when and how money in the account is withdrawn. Account owners can change beneficiaries and investment options, according to IRS guidelines.